Kettling/Containment or Corralling is a British Police crowd control tactic I have seen being used more and more at demonstrations to the point where it has become routine, almost the default crowd control activity for the police. It is called ‘Kettling’ because of the effect it has on those enclosed, it is supposed to ‘let the steam out’ of the crowd slowly but I have only ever seen it escalate situations. It is a dangerous tactic that must be investigated. Corralling is a form of mass arrest despite no one being charged with an offence. It is dangerous; those trapped inside for hours denied even the most basic of rights – no food, water, shelter, access to toilets or medicines. It is my firm belief that it’s a miracle more people are not killed when the police crush thousands of people into tighter and tighter spaces for no apparent reason. People have a right to protest but when you trap them indiscriminately, it is hardly surprising that some will become angry. This is just basic human nature. Yesterday’s student demonstration reminded me of the Gaza demo I attended in January 2009, when due to the chaos I accidentally got separated from the group I was with and ended up trapped in a police kettle outside the Israeli embassy in London. The bus I went down in was due to leave at 5pm and I wasn’t let out of the Kettle until 11.30 at night, alone with nowhere to go and no way back to Manchester. I spent 3 days in bed when I finally got back to Manchester, exhausted with pains in my legs which I put down to being forced to stand in a small area in sub-zero temperatures for hours….all for peacefully protesting against a huge injustice that I felt strongly about, which is my right. What I witnessed yesterday on the BBC was police kettling protesters and then charging them with horses despite, as witnesses said, there being people in wheelchairs and children in the crowd….the police once again acted indiscriminately. Who knows if some of the people in that crowd where just passers by. *I have just heard the Met Police are to be investigated after a protester, Alfie came close to death at the demonstration yesterday after being battered by police truncheons…..this wreckless tactic has to stop! The Young Greens have launched a petition against kettling which they plan to present to the Metropolitan Police Authority in January. Please get as many people as possible to sign it:http://www.ipetitions.com/petition/ban_kettling/ .Send messages of support for Alfie to +447870215764. SPREAD THE WORD! Lib Dems voting against PR? ‎I get tired of the media saying ‘this will be the test of the coalition’ but for a huge amount of ordinary members this could be ‘make or break’. The Lib Dem’s have been calling for PR for decades, so it will be interesting to see how they respond to a motion amending the AV Bill to include PR which has been put forward by Caroline Lucas our Green MP. Hugo Blanco coming to Manchester soon…. Hugo Blanco was one of the key figures in the peasant uprisings in Peru during the sixties, he was imprisoned and sentenced to death but later thanks to a very high-profile international campaign was released to Sweden. The international solidarity campaign included Jean-Paul Sartre, Simone de Beauvoir, and Bertrand Russell….a bit before my time but very impressive all the same. After years in exile he returned to Peru, founded the Workers Revolutionary Party(over there they seem a lot saner than the very odd WRP UK factions) and he became a Peruvian senator. More recently he was involved with a massive and successful direct action campaign with indigenous groups, helping them preserve the rain forests from huge transnational logging companies. Hugo Blanco is currently Director of a Cusco-based newspaper called Lucha Indígena. In October we are lucky enough to have him visit Manchester and he will be speaking at MMU as part of a Green Left/Socialist Resistance tour of the UK. 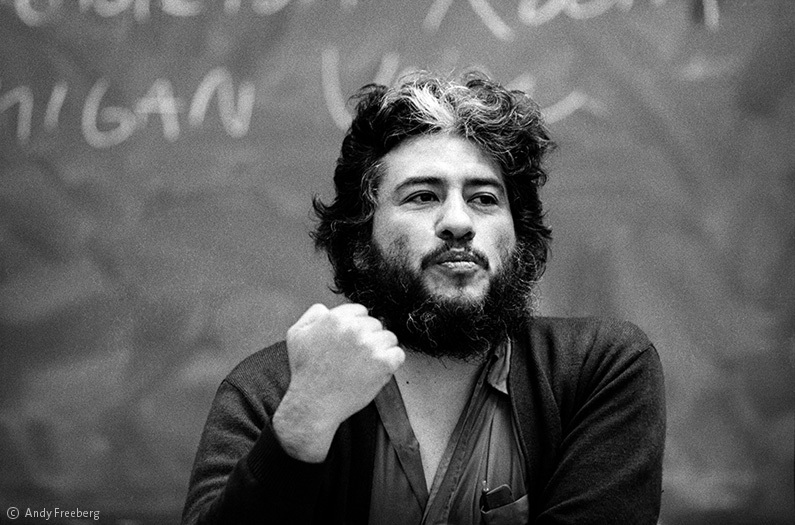 I am really looking forward to meeting the man I have heard being referred to as the Peruvian Ecosocialist Che Guevara! Today Manchester Green Party has condemned the coalition government’s decision to freeze funding for the Playbuilder scheme. The scheme was set up to fund projects that would enable children and young people to enjoy imaginative, challenging and stimulating play. Coalition cuts have meant that plans to update facilities in Hulme’s Barracks Park are now in real danger of being shelved (1). Christine Shelmerdine, Hulme local activist and member of Friends of Hulme Parks, also added “Local children are devastated about these plans to axe their playbuilder scheme. If we agree and support the U.N.’s International Convention on The Rights of the Child, then we must pay heed to Article 31 which states children have the right to relax, play and join in a wide range of cultural and artistic activities. This money needs to be re-instated so that we can fulfil our promises to the children of Hulme”(2). Local resident, Cal Harvey also spoke out against the cuts “As chair of the Friends of Hulme Parks I am devastated that the government has seen fit to suspend the money for Playbuilder. The Friends, especially Christine Shelmerdine, have worked very hard with St Georges and Shawgreen’s young people and parents creating a successful bid. The Friends will continue to lobby the government to release the funding for this much needed and wanted play area for local children”. Hulme Greens’ Gayle O’Donovan called upon the council to provide alternative funding to ensure the Barrack’s Park scheme goes ahead. There have been several notable climate related events of late: a slab of ice the size of an island has broken off a glacier in Greenland; Russia one of the worlds biggest wheat exporter has had to stop exporting due to forrest-fires. Added to that the thermosphere has contracted meaning basically that the earths upper atmosphere has collapsed. Whilst it is impossible to say if these seemingly freak events are linked to Global warming, it is also impossible to say that they are not….got me thinking – what would it take to convince people that man made climate change is happening? 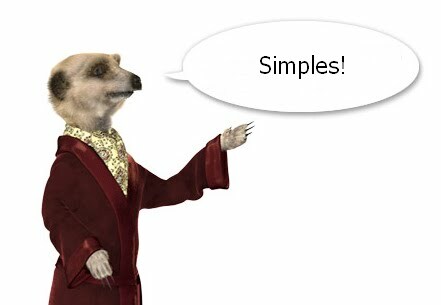 Posted on July 20, 2010 | Comments Off on Big Society – Simples! The new catch phrase ‘Big Society’ is beginning to get on my nerves. Am I the only one that thinks it is just a return to the old One Nation Conservatism which itself is not far off the New Labour ideology? A definition of insanity is doing the same thing over and over but expecting a different result – so how did we get back here? It is as if the tide has come in and washed away all the lessons we learned from the global financial meltdown and we are full speed ahead to business as usual. Dave Cameron and Nick Clegg would like us to believe that at the heart of this idea is social cohesion but the reality is the selling off of the public sector and a return to free market economics which has only ever increased social problems by increasing the gap between rich and poor. I value our informal economy based on volunteers but to expect them(us) to prop up public services because this government is making an ideological decision to cut public spending is a recipe for disaster – most volunteers I know are dedicated but generally over worked people. Lets take the Citizens Advice Bureau as an example, they perform a vital service – a one stop shop for people with concerns about housing, employment, immigration, consumer and other problems and is available to everyone. The CAB staff is made up of mainly trained volunteers but where do they fit in the Big Society? Well it is facing an 11.6 per cent cut from the Department for Business, Innovation and Skills. If we ignored the morally empty ideological position of free market economics and just focused on the mathematics of their proposals the Con-Dem coalition is still on shaky ground – shrink the public sector whilst the private sector is stagnant and what do you get – Big Society or more likely a Double Dip Recession! Comments Off on Big Society – Simples! John McDonnell has withdrawn from the Labour Leadership race after failing to get the required number of nominations. Are there still people within Labour who really think it is a party of the Left? So the Labour Leadership ‘battle’ will be fought over by the Oxbridge brigade….thrilling.